German pediatric guidelines for severe traumatic brain injury (TBI) management expired in 2011. Thus, divergent evidence-based institutional protocols are predominantly being followed. We performed a survey of current Pediatric Intensive Care Unit (PICU) management of isolated severe TBI in Germany to reveal potential varying practices. Seventy German PICUs were invited to join an anonymous online survey from February to May 2017. Twenty-nine participants (41.4%) successfully completed the survey (17 university hospitals and 12 district hospitals). The majority of items were polar (yes/no) or scaled (e.g., never - always). Main topics were imaging, neurosurgery, neuromonitoring, adjuvant therapy, and medication. Severity of TBI was defined via Glasgow Coma Scale. The majority of respondents (93.1%) had internal TBI standards, and patients were mainly administered to interdisciplinary trauma units. The use of advanced neuromonitoring techniques, intracranial hypertension management, and drug treatment differed between PICUs. Routine administration of hypertonic saline in TBI-associated cerebral edema was performed by 3.4%, while it was never an option for 31.0% of the participants. Prophylactic anticonvulsive therapy was restrictively performed. If indicated, the main anticonvulsive drugs used were phenobarbital and levetiracetam. Neuroendocrine follow-up was recommended/performed by 58.6% of the PICUs. 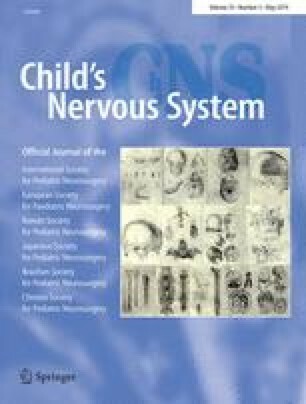 This survey provides an overview of the current PICU practices of isolated severe TBI management in Germany and demonstrates a wide instrumental and therapeutical range, revealing an unmet need for the revised national guideline and further (international) clinical trials for the treatment of severe TBI in pediatrics. Thomas M. K. Völkl and Fabian B. Fahlbusch contributed equally to this work. We thank all participants who committed their time and effort. We thank Prof. Dr. Dr. h.c. Wolfgang Rascher for supporting this study. Data acquisition was performed by Valerie Konrad in fulfillment of the requirements for obtaining the degree “Dr. med.” at the Friedrich-Alexander-University of Erlangen-Nuremberg, Dept. of Pediatrics and Adolescent Medicine, Germany.